This month I wanted to take the time to really celebrate an amazing milestone. My youngest girl and allergy baby turned 6 in March. 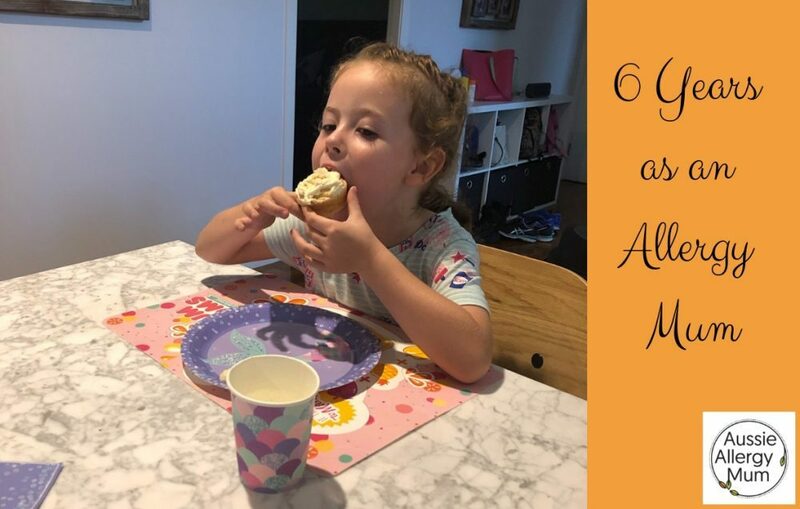 And so, I am celebrating 6 years as an allergy mum. Boy, it has been a tough road for us. Uncertain, discouraging, dangerous and gut-wrenching. But right now we are in a beautiful place. A place of balancing safety and inclusion, a place of knowing how to celebrate the small stuff, and a place of looking back in gratitude for the lessons learned. So indulge me for a moment, and let me share with you the biggest learnings from the last 6 years. From very early on it was quite obvious that my second child was a little different to the first. Constant screaming, vomiting, nasty rashes and more made it obvious that something was going on. I asked sooooo many doctors, soooooo many questions, before getting an actual answer. Now when others prepare food for her or look after her, I am constantly educating, advocating, helping, supporting. I ask over and over, double and triple check everything, and drive myself batty at times. But balancing safety and inclusion is exactly that- a balancing act. The key? Never stop asking questions. Never feel you are annoying, or everybody think you are crazy. Never let anyone tell you something that you don’t think sounds right, and then walk away. No matter what, a mother/parent/carer knows their child best. You are there for it all, the long nights, the food reactions, every bit of it. So don’t ever let anyone tell you they know your child better. And if they do, or seem to think they do, or leave you feeling like they think that, then go back to point one and ask more questions. Don’t be afraid to continue to ask, and share your story, until you get the help you need. Until you feel heard, acknowledged and armed with the info you need to be the very best advocate for your child. This allergy journey does not have to be lonely. Seriously! One in 10 kids under the age of 12 months have an allergy, so you are most definitely not alone. 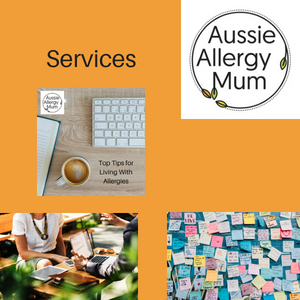 Seek out support, educate friends and family, go online to find groups of allergy parents just like you. Make the most of the amazing experiences others like you have had, and use them to build you up! I am so grateful now, for learning lessons of compassion for others, and myself, having strength in my conviction, having trust in myself and so much more, that has come out of our journey. My little allergy lady is a thriving 6-year-old, loving school, making friends, and staying safe but included every day. And I want that for every allergy family out there. 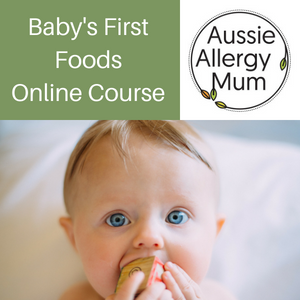 Caroline Partridge is the Aussie Allergy Mum. Living life with allergies can be lonely and challenging, and Caroline knows this all too well. The arrival of her second daughter brought with it the world of kids with allergies. 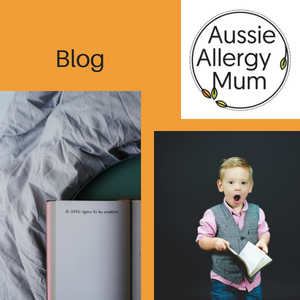 She never wanted other parents to feel alone on their journey and so the blog and then business Aussie Allergy Mum was born. Caroline uses her background in paramedics and study of nutrition to help other allergy families find accurate and helpful allergy information and resources, as well as support. She loves to help families become confident with their allergy reality through her workshops, courses and coaching. 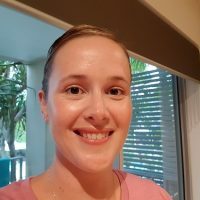 She is also passionate about mums taking care of themselves well, so they can care for their families, running courses on nutrition, mental health and self-care for mums. Loved the story if your and sometimes our allergy journey. ..